Atlanta, GA — April 7, 2017 – O.D.D. is excited to announce the release of their new single, “Executive Order” in advance of a full length LP to be released later this year. The song can be downloaded from the band’s website, oddtheband.com as well as iTunes and Google Play and can be streamed on Spotify. 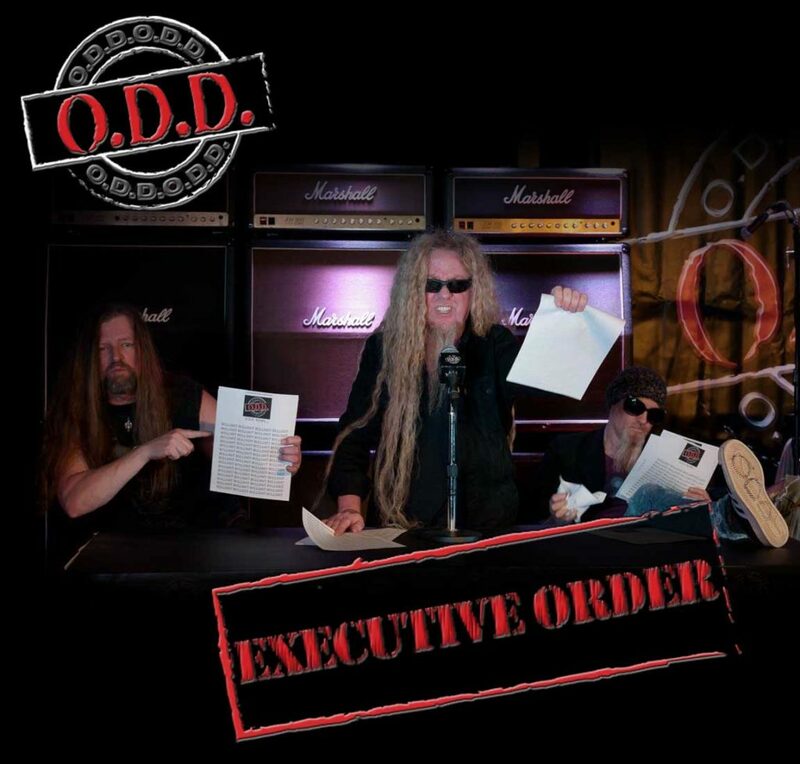 “Executive Order” is a politically driven traditional heavy metal song. According to the band, “Executive Order expresses our dislike of the media’s manipulation of the masses and the misuse of power afforded to our presidents via executive orders.” They recently shot a video for the single with Jakyl and Hyde Productions which can be seen on the band’s YouTube Channel. The upcoming LP, tentatively titled “Sonic Disorder” will be the band’s second release. Their self-titled EP was well received by music writers and received airplay on Internet stations such as Hard Rock Distributors and Digital Revolution Radio. O.D.D. was formed in 2013 in Atlanta, GA out of a collective passion for rock n’ roll. Their heavy groove oriented songs combined with a melodic vocal layer is one thing that sets this crew apart. O.D.D. has been playing shows around the Southeast since 2014 and has opened for notable bands such as Saving Abel, Skid Row and Stuck Mojo. Their music is independently produced at HDS Productions.